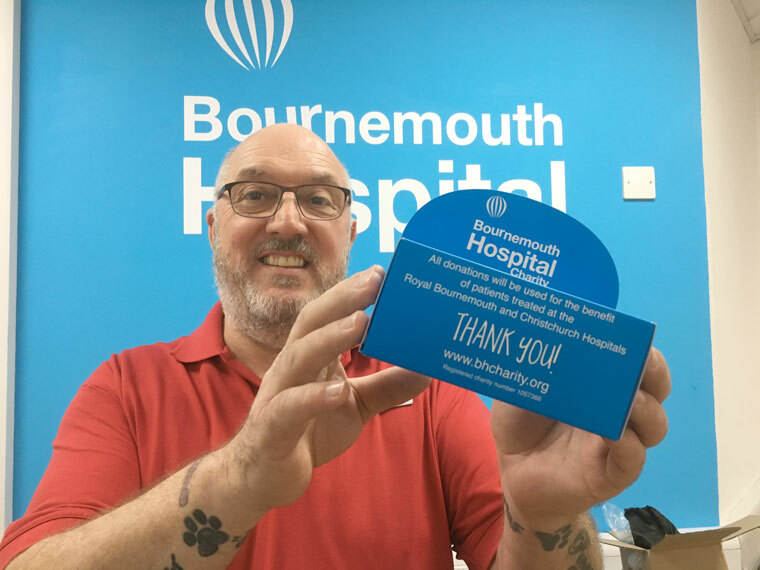 Hospital staff have been asked to sacrifice chocolate, crisps, coffee, alcohol, cigarettes or any other vice for 40 days and donate the amount of money that they save until 13 April to Bournemouth Hospital Charity. “I’ve been meaning to try going chocolate-free for a while,” says ward host Kevin Holmes. “When I heard about the charity’s Lent Challenge, it seemed like a great way to give it all up for a bit and help support the hospital at the same time. If any members of the public have sacrificed a vice for Lent and would like to make a contribution towards the charity’s fundraising efforts, Bournemouth Hospital Charity invites them to make a donation online at BHCharity.org/donate.